1) My friend invited me to a Paint Party Class this week. We had the opportunity to paint these beautiful door hangers. I love how mine turned out! I'm so glad I attended the party. I learned a lot and had a wonderful time. I encourage everyone to take a Paint class at least once. You will love it! 2) Raylan went with me to the Paint Class and he did some paintings of his own. He wanted me to show y'all his paintings. He said one of his was a volcano painting. 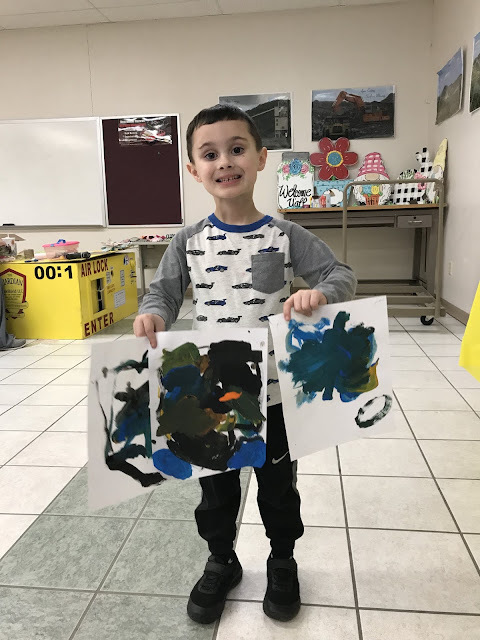 He also said that he loved the Paint Class. I'm so glad that I get to take part in things like this with my little guy. 3) I got my hair done again this week. I went Shorter and Lighter for Spring. I want everything brighter for Spring. Are you the same way? 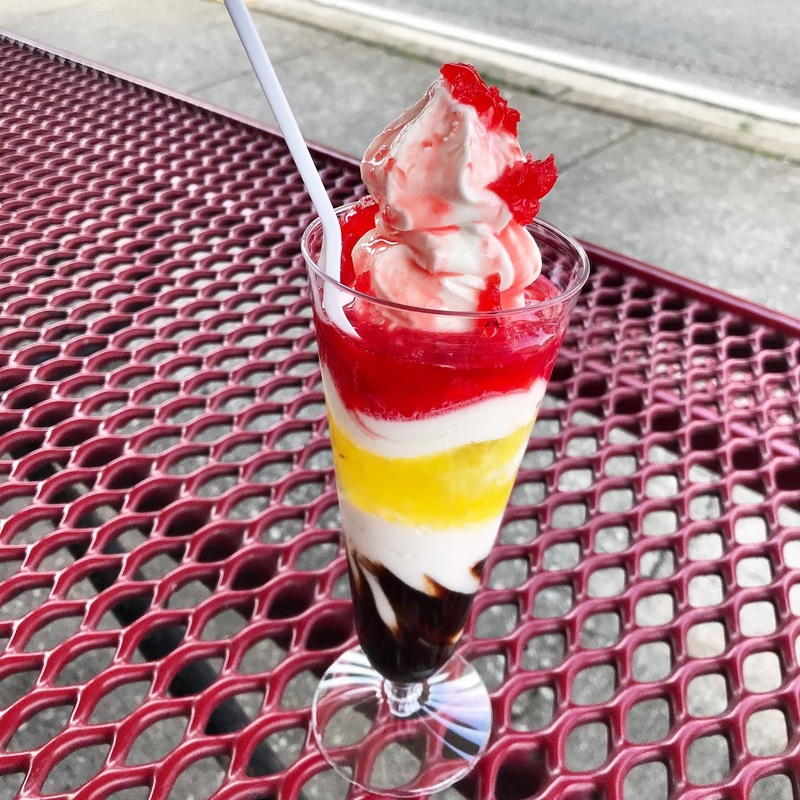 4) Our local Dairy Drive In has recently started making these delicious parfaits again. It had been years since I have had a parfait, so I just had to stop and get one. They are so good! 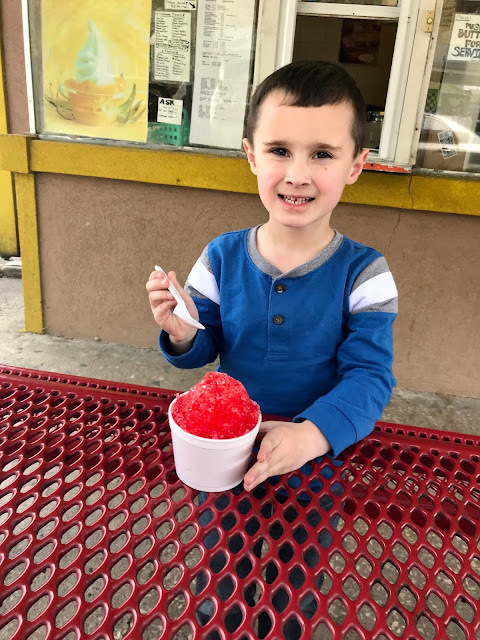 Definitely the perfect treat for these warm Spring Days. 5) Speaking of Ice Cream, I had a pretty handsome Ice Cream Date. Raylan loves going to his favorite Ice Cream Shop and eating outside. He said he loves our ice cream dates and so do I. Love your haircut! Thanks for the fun link up and have a wonderful weekend! Happy Friday, Della! 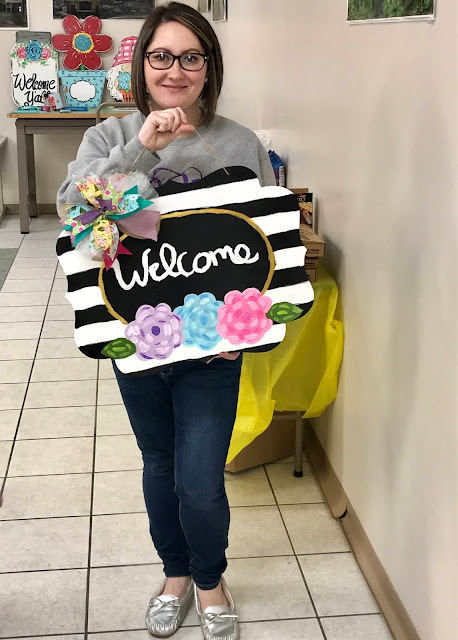 I love how your door hanger turned out! So cute! How great that your son got in on the painting fun too! Great artwork, Raylan! :) Your hair looks fantastic - what a beautiful look for springtime! Wishing you and yours a sweet weekend ahead! 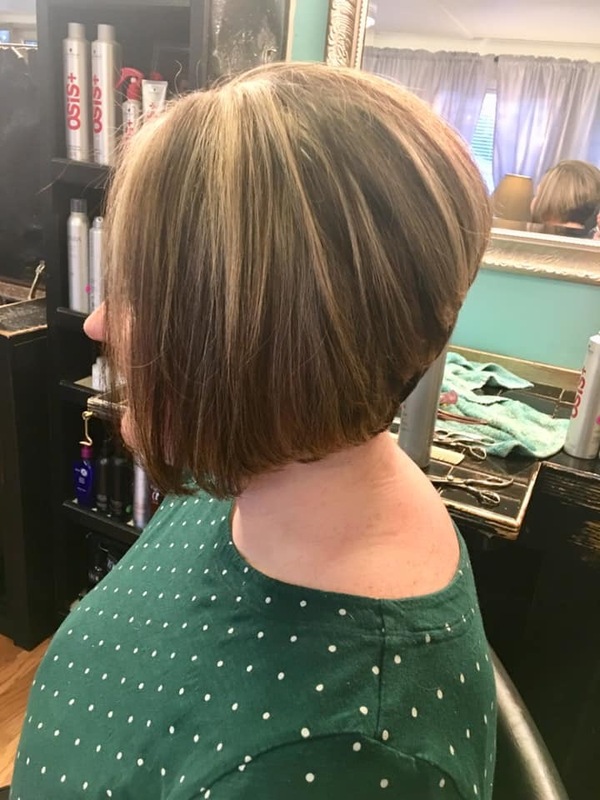 love your haircut and that door hanger is perfect for spring. you look great! Great paintings. Thanks for hosting and I hope that you have a wonderful weekend.